Japan to be the next World Halal provider. A non profit organization Japan Halal Association (JHA) accredited certification body in Japan by JAKIM has recently approved a Nagano based Miso paste company which became the world’s first Halal Miso paste provider on December 12th 2012. Japan counts about 100,000 Muslims who have difficulty finding Halal food in Japan. Not only the Halal concept which is unknown to the society, but there is also a big lack of knowledge about the religion itself. In the past few years the Muslim population, especially among Japanese nationals has been increasing dramatically, as well as Muslim expatriates, thus the need for Halal food has increased in parallel. Miso is one of the most common ingredients of traditional Japanese cuisine knows as Miso soup or other traditional recipes. ‘This Halal certification enables Japanese cuisine to be welcomed in Muslim countries and encourages other Japanese producers to explore their possibilities in Halal industry. ‘ said the chairman of Japan Halal Association, Hind Hitomi REMON. The additive free Halal certified Soya bean based Miso paste is healthy and complies the concept of Halal Taybaan, the producer aims to increase the international sales at 10% in 5 years and is intending to export to South east Asia, Middle East and other Islamic countries. A food manufacturer in Nagano Prefecture has produced the world’s first halal-certified miso for religiously observant—and gastronomically adventurous—Muslim consumers. Hikari Miso Co., based in Shimo-Suwa, installed a dedicated production line at its factory so that the fermented soybean paste could be recognized as halal, or religiously acceptable according to Islamic law, and exported to Muslim countries. Miso is a staple of traditional Japanese cuisine, but domestic demand has stagnated recently, and the company is trying to expand its sales overseas, starting in Southeast Asia. According to company officials, the image of Japanese food as both healthy and luxurious has garnered it a growing number of Muslim fans. 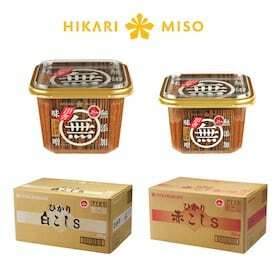 Hikari Miso has sold its products to Japanese restaurants in Islamic countries such as Malaysia, but local consumers have requested the maker to produce a halal-certified miso, company officials said. Islamic law bans the consumption of alcohol, pork and any foods that are not processed according to Islamic law. In Muslim countries, food that meets Islamic law is certified as halal by a special agency, and that certification is essential for companies trying to export food to Muslim areas. Because Nagano Prefecture is also called Shinshu, miso made there is called Shinshu miso. The ingredients of halal miso are the same as those of ordinary Shinshu miso, but the company takes special care that no alcohol is mixed into the product from disinfectants used in the manufacturing process. In addition, the halal miso is made by dedicated staff members who have received special training to better understand Islamic culture. These employees are also prohibited from bringing alcohol and pork into the workplace. Hikari Miso hopes to expand its business first to Asian countries with large Muslim populations such as Malaysia, and then to the Middle East. The company’s annual overseas sales are currently 2,000 tons, mainly in North America. But it intends to increase that number to between 4,000 and 5,000 tons in five years, in part by expanding sales in Islamic countries to 1,000 tons. Is this product available in Australia? If so, can you please provide details. Where to buy this Halal Miso in Malaysia? Where can we find this in Singapore? You will just have to try googling the company Shahirah and see if you can find a contact that way.